Stampin Up! Holiday Catalog is Live!! What’s New is August!! At last it’s here!! 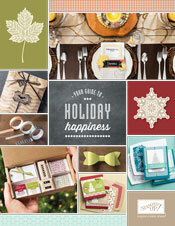 Stampin’ Up’s Holiday Catalog!! It is jammed packed with lots of neat products designed to help you with all of your holiday projects. I am dreaming of a full day to just “play” with all of my new goodies!! Click on the links below to view for yourself.